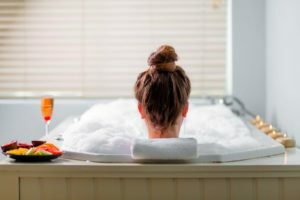 The toll taken by our fast-paced lifestyle means that travellers are increasingly looking for de-stressing and revitalizing opportunities whilst on holiday. 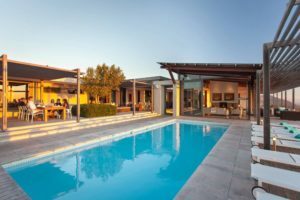 Luxury lodges and hotels have responded sublimely to this call for wellness travel and getaway options in South Africa, with a range of health and wellness offerings to revive jaded travellers. Wellness travel will be in greater demand than ever in 2016 – this is one of the trend predictions being made by travel fundis. Health and wellness travellers currently seek out not only formal spa facilities, but they also enjoy rejuvenating activities in nature; mindfulness-based relaxation offerings; good-health eating; use of products made from indigenous healing ingredients; and more. 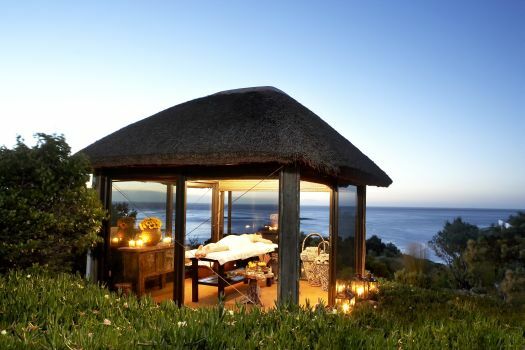 Kick-start your vitality in 2016 with a wonderful wellness getaway in South Africa. Yoga is a constant offering at Londolozi Private Game Reserve, where resident yoga instructor BeJay Watson dedicates herself to helping people access inner stillness through yoga on the magnificent landscapes at Londolozi. Enjoy a yoga-and-safari retreat at Londolozi, along with supreme accommodation at a choice of lodges, and a matchless wildlife safari. Mail us. Experience soothing body treatments on the private wilderness-facing deck of your suite at Hoyo Hoyo Safari Lodge in the heart of the Kruger National Park. This is a traditional Tsonga-styled safari lodge that offers ‘nomadic’ massage treatments on request, using beautiful fragrances such as cedarwood, vanilla and ylang ylang. 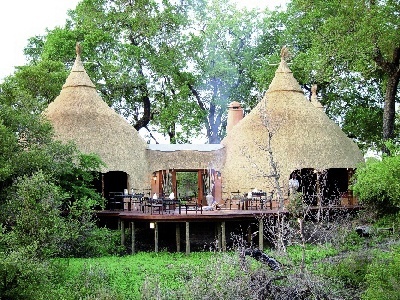 Accommodation takes the form of circular thatched ‘homesteads’ with earth-coloured walls and traditional adornments as part of the decor. Mail us. 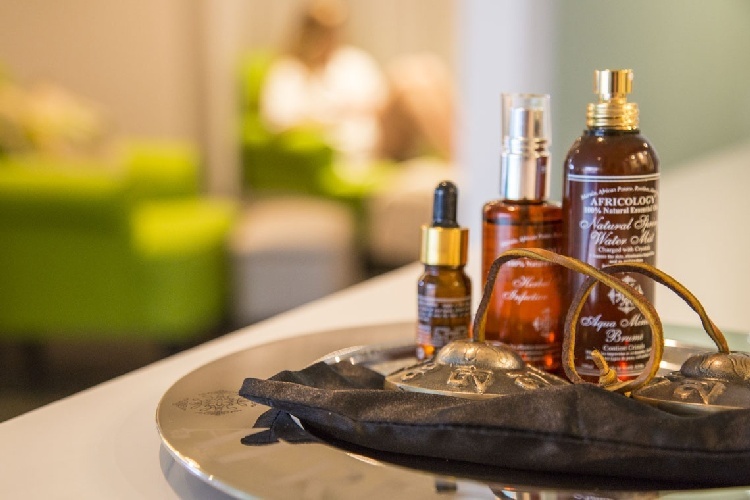 Most of South Africa’s luxury city hotels have in-house spas where guests can enjoy professional spa and health treatments and sublime rejuvenation facilities. The Fairlawns in Morningside is an unrivalled choice for high-end travellers wanting to combine a wellness retreat with an ultra-luxurious stay in Johannesburg. 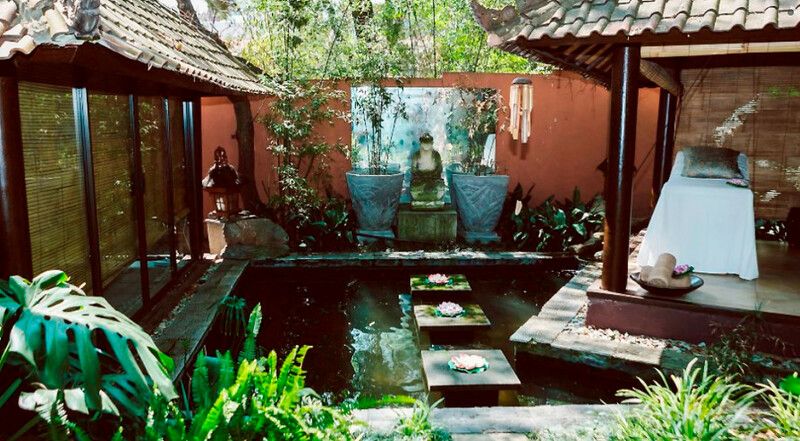 The Balinese Spa Garden is a space of calm and serenity, and treatments can be enjoyed either indoors or outside in tranquil garden spaces, in which it’s easy to forget that the city is not far away. Mail us. The Twelve Apostles Hotel and Spa stands on the edge of the great Atlantic in Cape Town and has a magnificent spa on site. Single and dual treatments are offered in seven indoor treatment rooms with rain showers. Hydrotherapy pools include warm and cold pools and a unique salt water flotation pool. The Twelve Apostles Hotel also has a Sports Buddy Training Programme for guests who would like to keep up their training while on holiday, and have a buddy (a member of the hotel’s staff) to train with. Cycling, mountain hikes, yoga, squash and golf are among the fitness options available. Kindly note that sports buddies need to be booked in advance. For the enjoyment of Twelve Apostles spa guests, there’s a complimentary health bar buffet of fresh juices, mineral waters and snacks. An exclusive Spa menu also offers more substantial health-focused meals. Mail us. For an intimate and very personalized small-spa experience during your Cape Town stay, choose O on Kloof Boutique Hotel and Spa in Bantry Bay on the Atlantic Seaboard. See More. 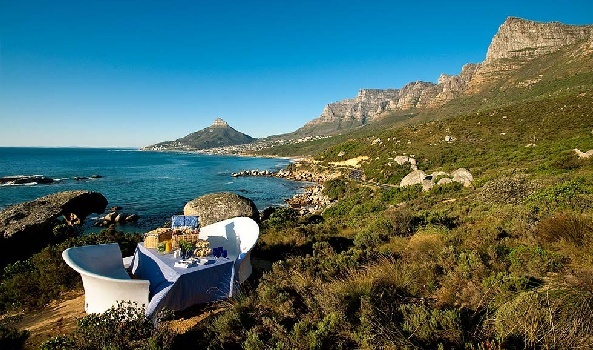 The exquisite Cape winelands make the perfect setting for a wellness getaway and spa spoil. On the periphery of Stellenbosch, the 5 star Lanzerac Hotel and Spa is set on a prestigious wine estate. There’s nothing quite like a view of rolling vineyards from the jacuzzi! 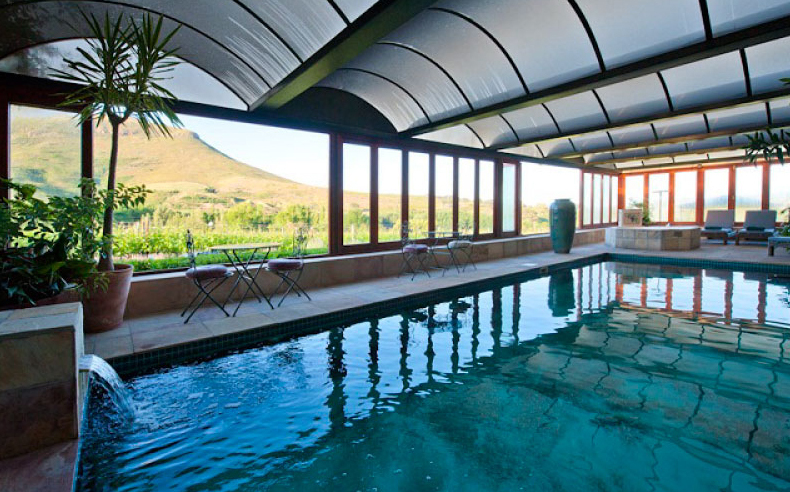 The Lanzerac Spa uses Theravine products that include ingredients derived from local grapes. Hydro facilities, indoor pool, Vichy shower, sauna room and heated jacuzzi are available, and the vineyard setting is idyllic. Mail us. Up the feel-good factor at Babylonstoren in the winelands of the Western Cape, by booking a stay on the exquisite Babylonstoren garden estate and soaking up some wonderful spa treatments. The spa is beautifully set amid bamboo and offers a steam room, heated jet pool, a hamman, cold plunge pool and gym. Mail us. Bushmans Kloof Wilderness Reserve and Retreat is offering a 2-night package that includes a session in the steam room; one signature massage per person (60 min); a choice between a mini facial (30 min) or reflexology (30 min); all meals (full English breakfast, light lunch, high tea and dinner), excluding lunch on days of arrival and departure; variety of activities including nature drives, rock art excursions, botanical walks, canoeing, archery, fly fishing, hiking and swimming. Rates from R 4 465 per person sharing per night from January – March 2016, and from R 2 635 per person sharing per night from April – August 2016. Mail us. 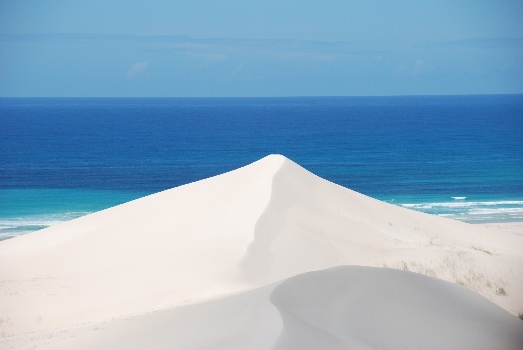 The scenic beauty of De Hoop Nature Reserve combined with professionally guided yoga experiences and wonderful accommodation of De Hoop Collection is the great recipe for wellbeing and pleasure. Yoga retreats are scheduled for 10 – 13 March and 6 – 9 May. Mail us. Rejuvenate amid orange, lemon and grapefruit orchards at the luxurious and refined Woodall Country House and Spa on the doorstep of Addo Elephant National Park. 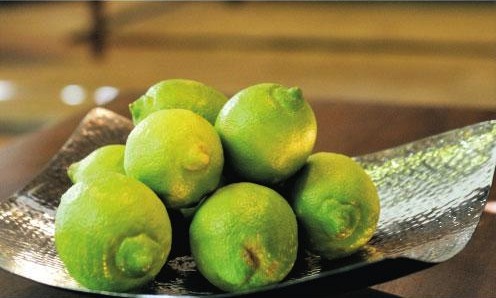 Between wildlife-viewing excursions into the park, savour the delights of the wonderful in-house Citrus Spa, where treatments are inspired by the surrounding citrus orchards. There are comfortable treatment rooms, hydrotherapy bath, sauna, heated Vichy shower, chromatherapy shower and gymnasium. The option of outdoor treatments is appealing, especially when the orchards are in blossom. Mail us. 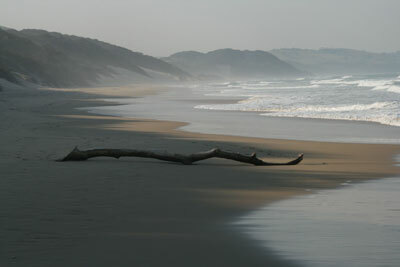 Exclusive Prana Lodge is a masterful provider of wellness experiences on the Wild Coast. It’s a majestic part of the Eastern Cape, and a true hideaway if we consider remoteness and unadulterated beauty as defining features of a real hideaway. The on-site Wellness Spa provides a range of holistic treatments for body, mind and spirit. Green principles incorporate natural and indigenous treatments. In good weather, treatments can be set up out in the gardens. Mail us. In addition to the many wellness offerings by the hospitality industry, South Africa also has some wonderful dedicated retreat centres that offer a range of contemplative self-retreats, guided meditation retreats and attend-and-stay personal development and creativity programmes. Temenos in McGregor and Bhodi Khaya in Overberg are well-known havens for retreating in the Western Cape. Buddhist meditation and teaching centres include Dharmagiri in the KwaZulu-Natal Drakensberg, the Buddhist Retreat Centre Ixopo in KwaZulu-Natal, Emoyeni Retreat Centre in Magaliesberg, and the Zen Dharma Centre in Robertson, Western Cape. For wellness getaways in the hospitality sector in South Africa, mail us or call 0860 102 907 (local) or +27 21 797-7122 (international) for information and bookings.